Reimagining healthcare: What does the future hold? You are at:Home»News & Innovation»Reimagining healthcare: What does the future hold? Consumer demand for engagement in their own healthcare and healthcare data will change the future of private health in Australia, PwC healthcare strategy partner, Dr Damien Angus argued as part of a wide-ranging discussion about global health trends. 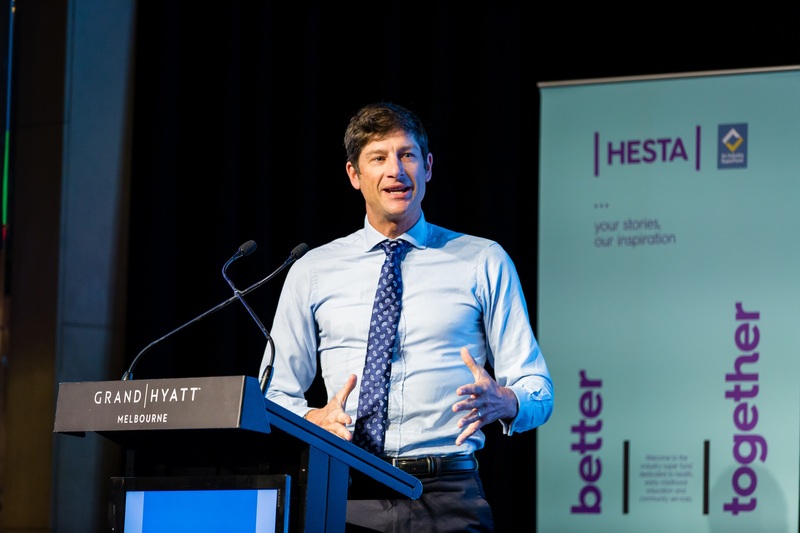 Speaking at the Australian Private Hospitals Association’s 38th National Congress, Dr Angus said the number of significant challenges facing the healthcare industry could also provide major opportunities. “We fund health in Australia in a very complicated way and it’s really hard to change this, but we are transitioning to pay for value,” Dr Angus said. Engaging consumers more in the process will change behaviour and drive better health outcomes, as the industry moves from reactive treatment to collaborative preventive strategies and outcomes-based funding. He stressed that consumers will expect to be empowered with a connected health experience similar to what they get in other parts of their lives, led by the latest technology. “Consumers want to participate, they want to provide feedback and ratings, and look and search for various items. Often in healthcare they find it hard to be able to do that. “Australia has a very proud record of medical research and pushing the boundaries – let’s bring that mindset to the actual provision of health services,” Dr Angus said. Dr Angus said PwC had introduced three innovations that foreshadow the way technology will provide better outcomes for health providers and consumers, as major global players such as Apple and Google make their moves into the medical market. PwC is helping a number of Australian hospitals streamline their enrolment process with a simple online form that allows patients to provide information at their own pace – and 85 percent of users are doing it ahead of their arrival. It also created Bodylogical – a ‘digital twin’ that models the human body and uses data to predict the health of ‘future you’ – and a Hospital Productivity Analytics app that provides real-time data-driven clinical and operational insights across the entire business. Dr Angus said the latest version of Apple Watch “is a medical device wrapped up in a beautiful, connected customer experience” while Google Fit is another example of non-health companies coming into the market. “They are much more used to dealing with customers, winning customers, finding customers, and they’re coming fast and they’ve got deep pockets,” he said. He said private hospitals should also prepare for a future where some of their traditional services are performed off-site – or by other providers. Dr Angus said this trend has already begun, as private equity firms seek to carve out new revenue streams via in-home care models. “If you think about rehabilitation, with chemo in the home now, day procedures, they’re actually coming for you – they’re coming for the most attractive segments, they’re taking the easiest patients, the ones that are simplest and lowest risk,” he said. He said the prospect of ‘a hospital with no patients’ is very real, citing a virtual care centre recently launched in the United States, where nurses or doctors sit in front of a bank of screens monitoring people at home. A Seattle company has also designed a concept for a self-driving vehicle that visits patients and uses artificial intelligence (AI) to diagnose their health problems. Samsung, meanwhile, has launched solar-powered mobile medical centres in South Africa to give people in remote areas access to healthcare. “There will still be people needing and wanting to come into hospital, especially for joint replacements – where demand will be constantly increasing due to the ageing population – but there are a lot of occasions when there may be other alternatives,” Dr Angus explained. Though he expects robotics, AI and data-technology to transform the future workforce, he said there would be plenty of need for the human touch. “Human interaction may be even more important because we’ll have more time to spend with patients,” he said.